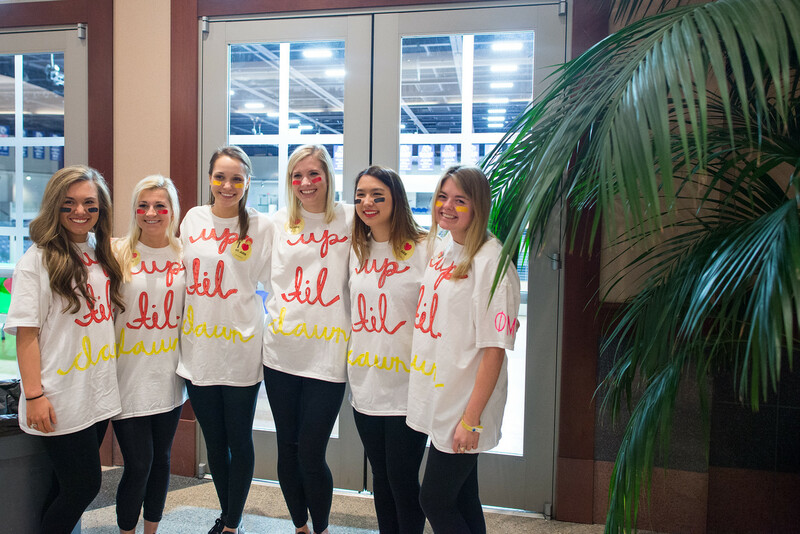 Belmont student organization Up ‘Til Dawn hosted its second annual 24-hour fundraising event Friday night to raise money for St. Jude Children’s Research Hospital. 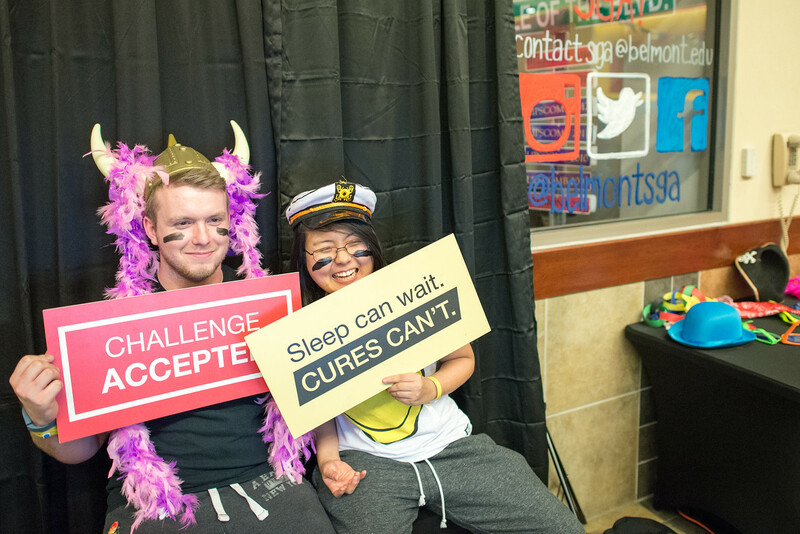 In an event implemented on 60 campuses nationwide, Belmont students far exceeded their goal of $75,000 and managed to raise almost $84,000 for the hospital, which seeks “to advance cures, and means of prevention, for pediatric catastrophic diseases through research and treatment.” Thanks to the vision of St. Jude founder Danny Thomas, a recent inductee in the Tennessee Health Care Hall of Fame, no child is denied treatment at St. Jude based on race, religion or a family’s ability to pay. St. Jude Specialist of Collegiate and Youth Programs Chase Simpson reported the final amount of nearly $84K raised by college students alone. 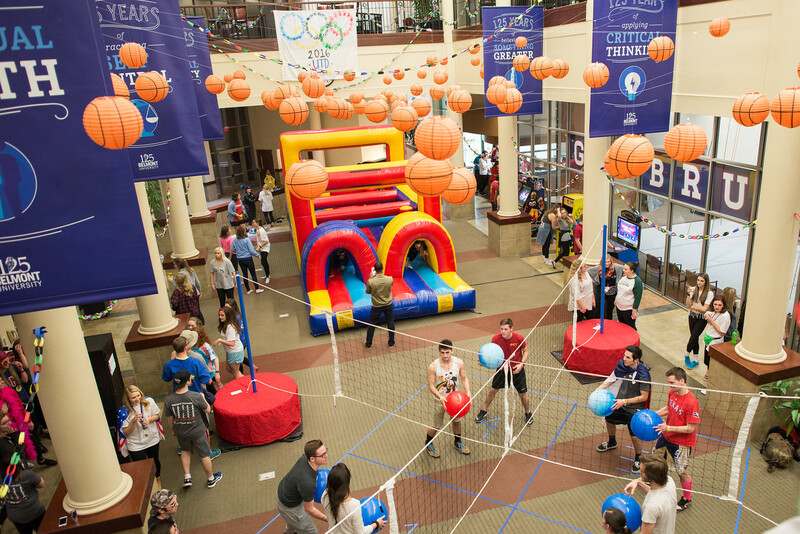 “With a goal of $75,000 for this year, it was no easy task for these student leaders when just $47,000 was raised last year. 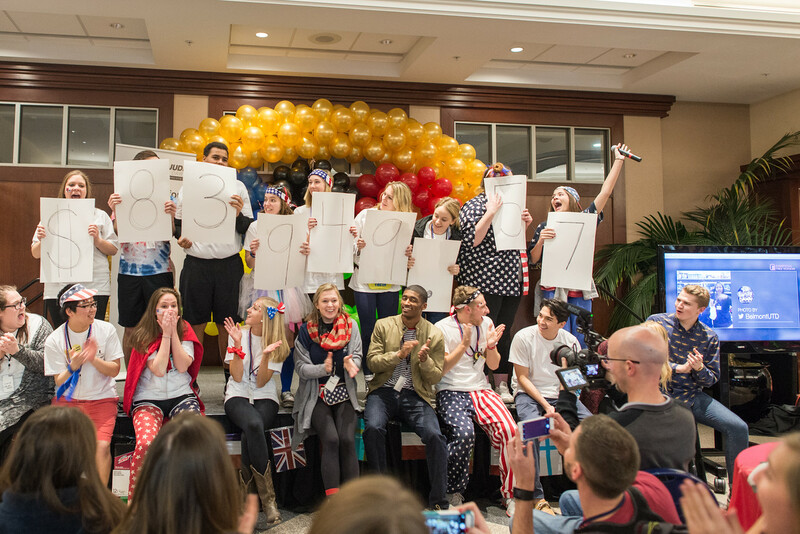 However, as Belmont students always do, they proved that it was possible and then some. $83,949.57 and counting doesn’t come without effort, teamwork and passion,” he said. St. Jude has the world’s best survival rates for the most aggressive childhood cancers, and treatments invented at St. Jude have helped push the overall childhood cancer survival rate from 20 percent to 80 percent since it opened more than 50 years ago.